On Friday, September 21, 2018, Newburgh Free Academy honored veterans who graduated from Newburgh Free Academy. 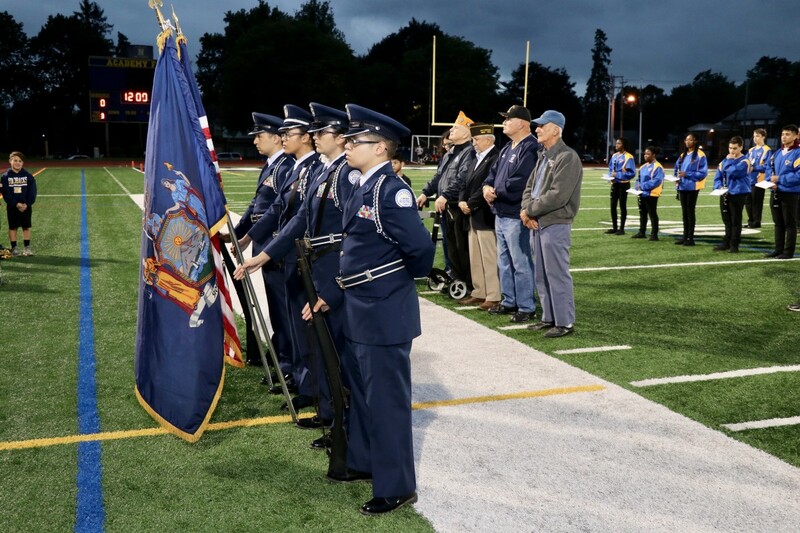 Members from Air National Guard 105th Airlift Wing from New York Stewart International Airport and from Newburgh Free Academy JROTC joined the veterans on the field. NFA JROTC is led by Col. Edward Seward and MSgt. Christian Granda. 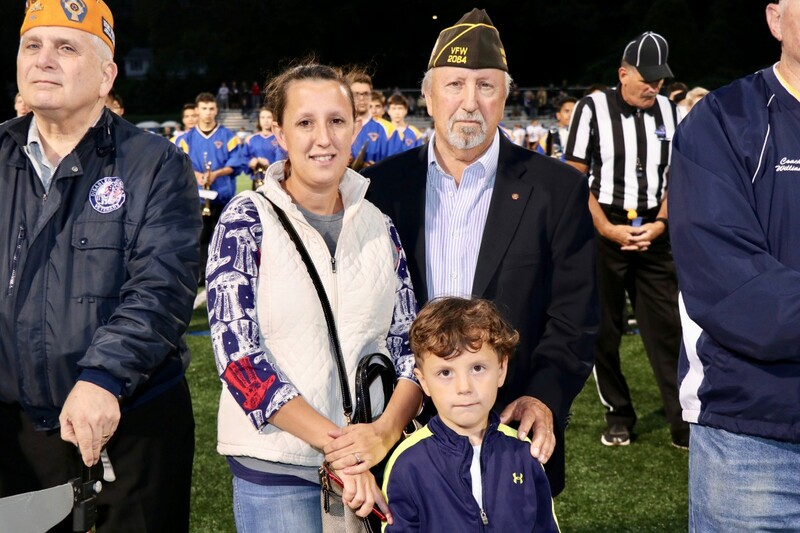 At the event, the Goldbacks also recognized former NFA football player, Private Walter Allison. Private Allison is credited with becoming the first “Goldback.” There is no official documentation about how Newburgh Free Academy became known as the “Goldbacks.” However, Newburgh Free Academy begins being referred to as the Goldbacks right around the time Private Allison’s sweater was returned home. 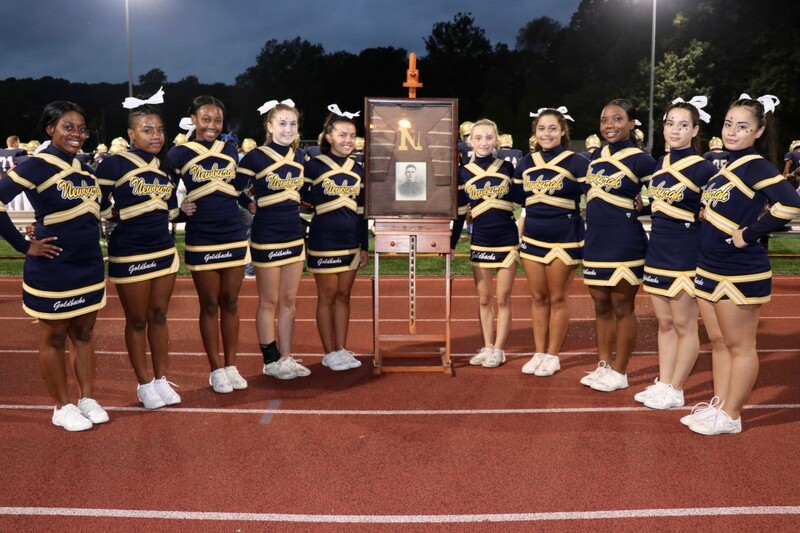 On September 29th, 2018 - 100 years ago this month, Private Walter Allison, the center of the 1916 Newburgh Academy Football Team died in the attack of the Hindenburgh Line, in World War I. It was a battle that is long remembered since close to 40 local soldiers also lost their lives. Private Alison was the unit runner, often on many occasions would creep through barbed wire, dodge machine guns bullets, and clouds of poison gas to protect his company. But the “Young Allison” (as he was called) story does not end there. 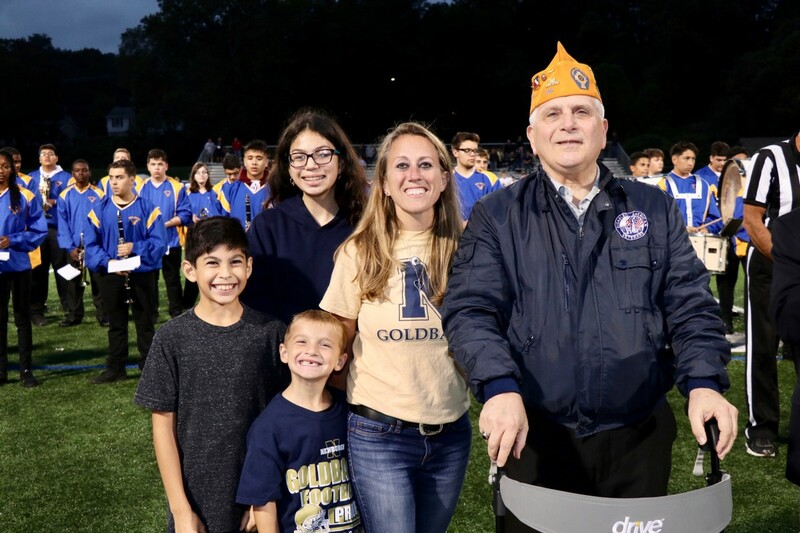 When Private Allison left for deployment, he brought his Newburgh Football uniform, which back then, was sweater with the Block Gold “N” as a reminder of his Newburgh home. His sweater remained in France upon his death. Later in the war, a Newburgh soldier named Chester Greatsinger applied for extra clothing and was given Private Allison’s sweater. 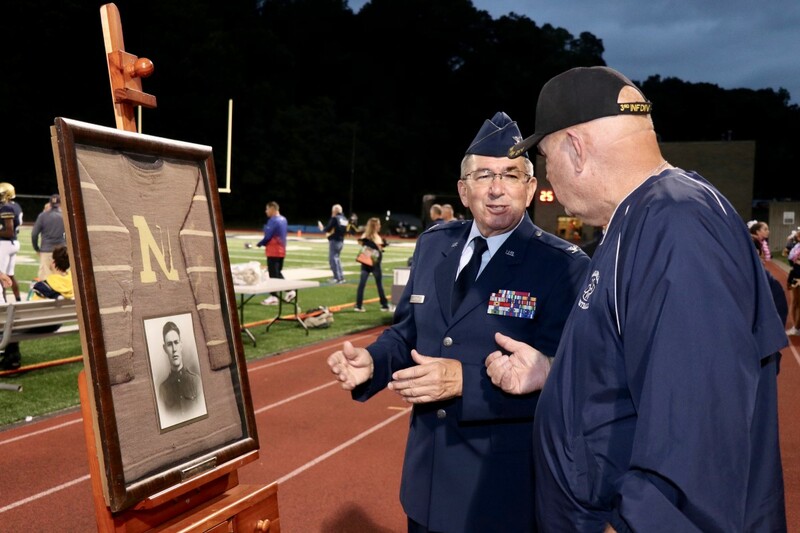 Private Greatsinger completed his tour of duty and returned home with the sweater, where he presented it to Newburgh Academy Athletic Association in 1919. Prior to restoration, the sweater had been on display throughout the Newburgh Free Academy for approximately 80 years. 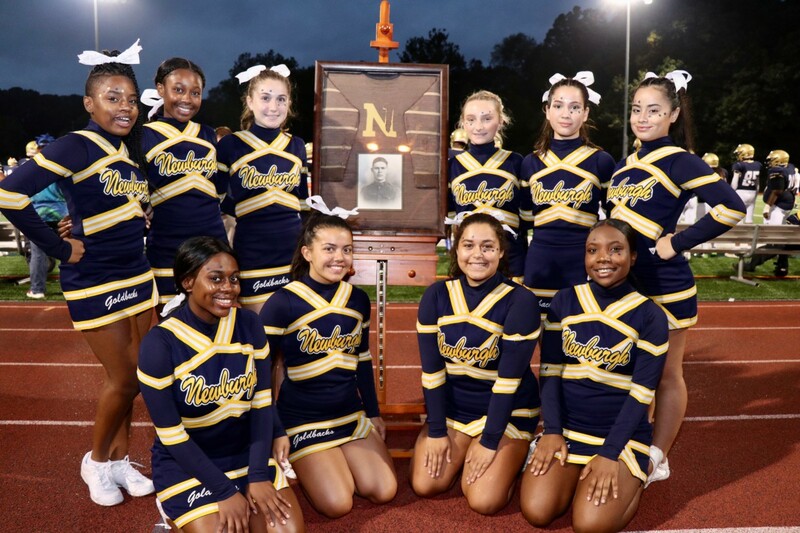 The sweater worn by Private Walter Allison on the battlefields of Europe and the football field in Newburgh was displayed on the track during the event. Private Allison is remembered as the first Goldback – our name comes from the Block Gold Lettered “N” on his uniform. The sweater has faded over time and was restored in 2014. The sweater is protected by a frame with UV glass protection. Allison Avenue, across from Academy Field was named after Private Walter Allison. Charlie Jones who fought in Vietnam for the Marines from 1964-1968. He was joined by Tara, Ida, and Trinette Jones. Joel Barker, NFA class of 1963 who fought for four years in Vietnam with the Air Force. Mr. Barker also taught at Meadow Hill for 32 years. 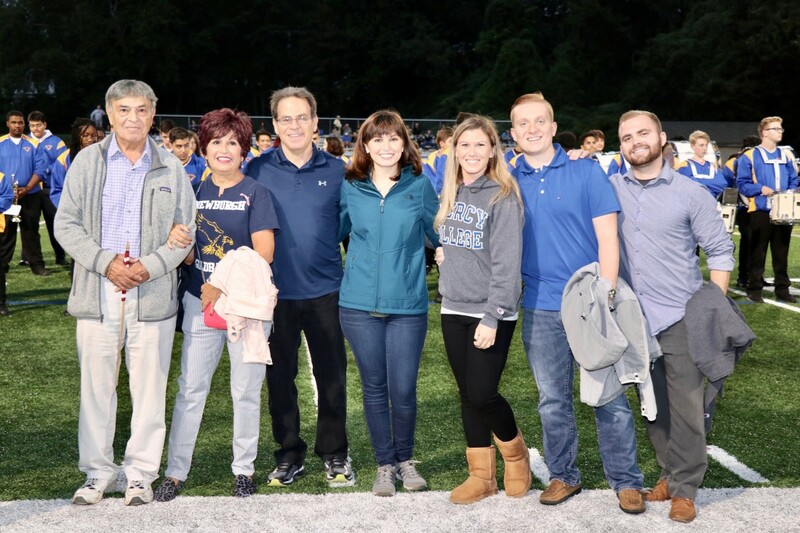 Mr. Barker was joined by his wife Nancy, daughter Lauren (class of 98) and grandson Michael. 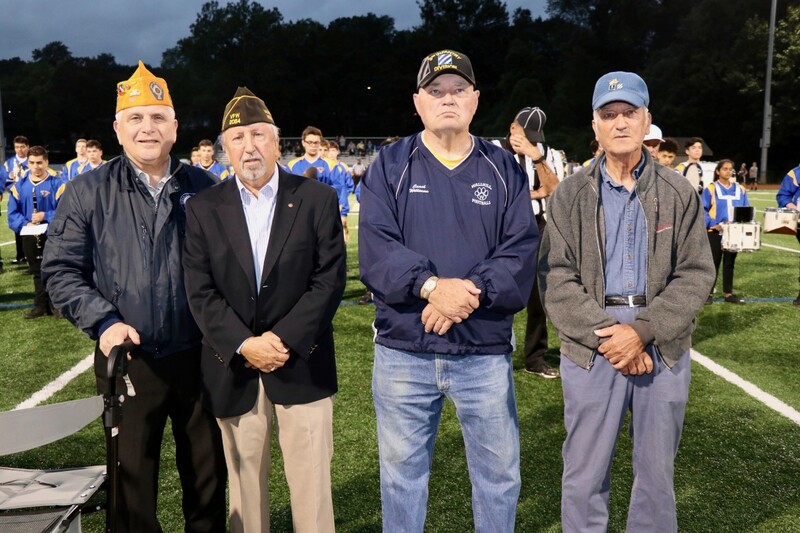 James Formato, NFA class of 1965 who fought in the Vietnam era from 1970-1973 with the Army. He is a member of the American Legion, Disabled American Veterans, and National Officer: Catholic War Veterans. 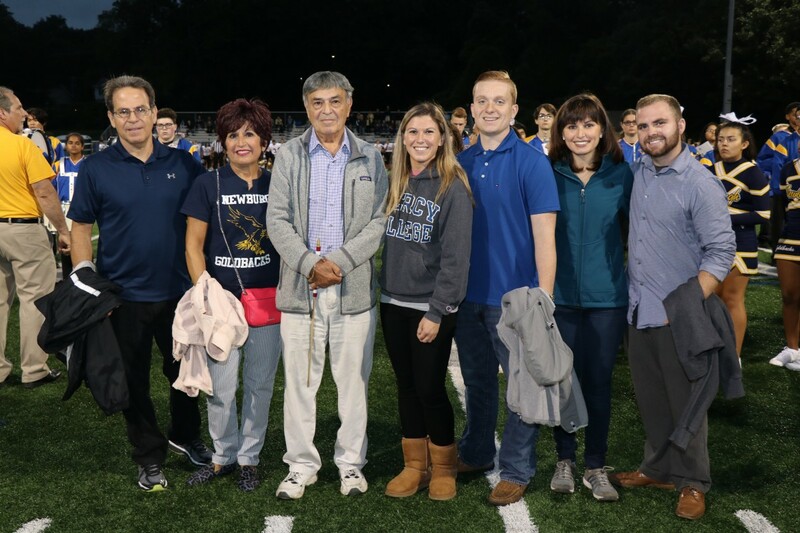 Mr. Formato was joined by his wife Sharon, daughter Jonelle Formato-Santo (teacher at NFA), and grandson James RA Santo. Vincent Valicenti, NFA class of 1949 fought in Korea from 1951-1953 with the Army 5th RCT. He was joined by Diane, Patrick, Kaitlyn, Jennifer, John, and Ryan. Jerry Williams, class of 1961 served for the Army for 3 years. Anthony I. Cea, NFA class of 1954 served for the Army for two years. He was joined by Maurice Cea, class of 1950 and Ann Cea, class of 1958. 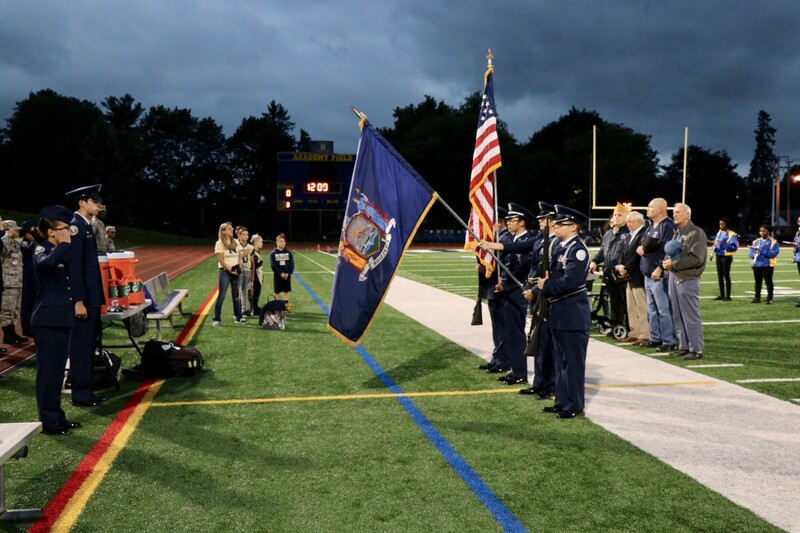 The Newburgh Free Academy Band, under the direction of Mr. Chris Zoutis played the Star-Spangled Banner. Information about the history and restoration of Private Walter Allison’s sweater. Why Are We Called the Goldbacks?